Lound Infant School, Y1 Monkeys: Save the Owl Babies! Today we received a letter from the Owl Babies. 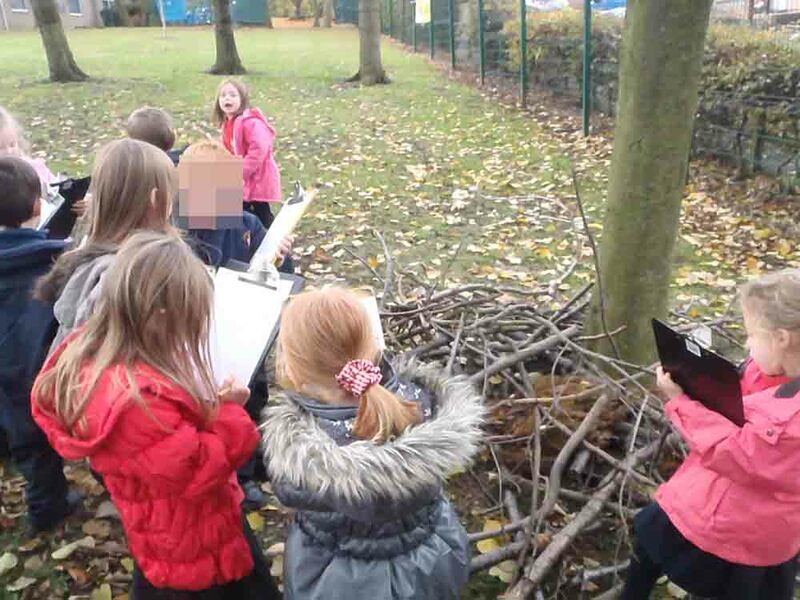 The letter said that the owls had heard Mrs Cotterill talking to a man in a yellow jacket about chopping some trees down to make room for a shed, and one of the trees was the one with their nest in! They needed us to help! We decided that we would put a stop to this, and armed with our clipboards went down to the bottom field to assess the situation, make plans for an alternative plot, and to think about other animals that might be affected. Here are some photos. 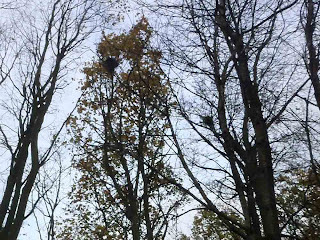 The owl nest at the top of one of the trees. 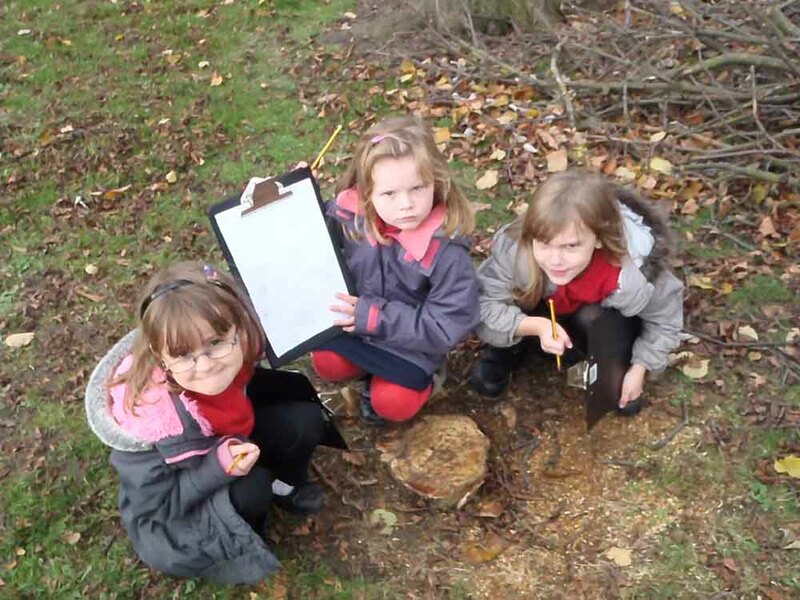 The girls are angry to find that one of the trees has already been chopped down! Maybe a family of hedgehogs lives in here. they'd be homeless too! We start to make plans about where else the shed could be placed. 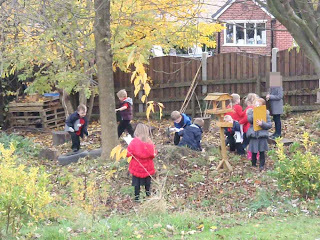 We check out our nature area for other habitats that might be disturbed by the work. Deep in thought about alternative plans. 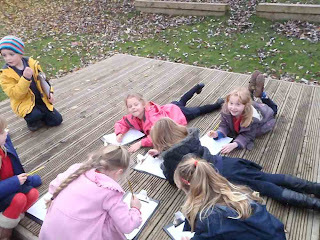 Finalising our plans on our outdoor stage. Back in the classroom we decided that the shed could be built on a flat piece of grass, close to the steps, and away from the wildlife area, pond, stage and trees. We did some shared writing and wrote a letter to Mrs Cotterill. 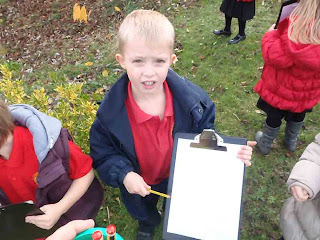 We decided we would ask everyone in the school to sign our letter. We decided we would spread the word on our blog to get world wide support. We decided to do a survey on our blog. Please support us in saving the Owl Babies home! Rata 4 have been talking about chopping down the tree. We think it is not a good idea. The Owl would have nowhere to live. Please could you find another place to build the shed. No, no, no. Don't cut down the tree. If the tree is cut down then the mummy owl will be angry. If the tree is cut down the owl babies will have nowhere to live. We thought about where the shed could go. 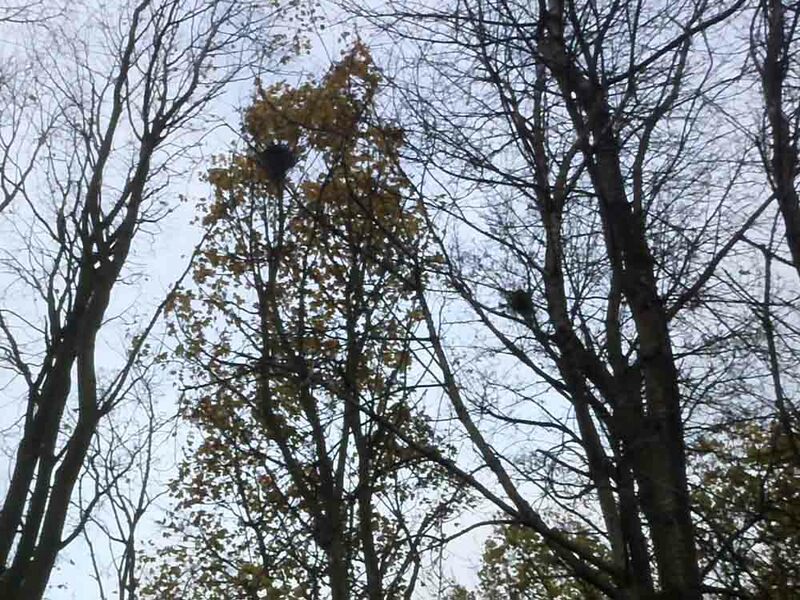 Is there any way it could go nearer to the school, and so further away from the Owls? We also wondered if the home for the hedghogs could be moved to the nature area? Let us know what happens as we are very worried about the owls. 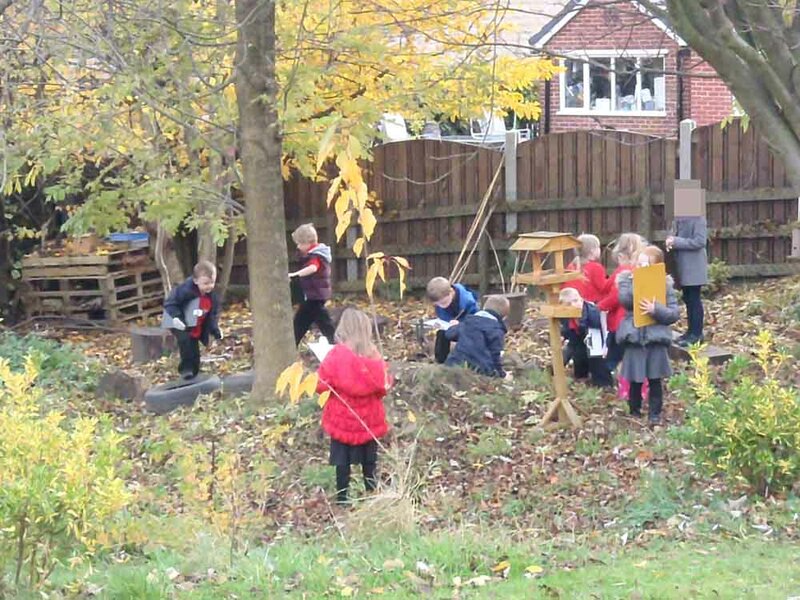 We don't think the tree should be chopped down because all the owls and hedgehogs might die. 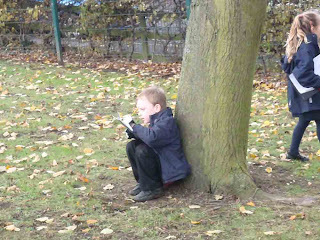 We think it will be dangerous to chop it down and we are worried that the tree might die too. You wouldn't have lovely autumn leaves to look at if the tree was chopped down. You could put the shed somewhere else where there are no trees. We have a shed on flat boards outside where there are no trees so we think this would be a good idea. If you REALLY need to chop the tree down you will have to rescue the owls first and find them a new habitat to live in. We are going to keep thinking of ideas to help you! Let us know if anything else happens! Dear Quad buddies. Thank you for your support! Your messages have been printed out and added to our letter that we are going to give to Mrs Cotterill next week. Keep checking back to see what happens next!